Catastrophe model development team Impact Forecasting, in collaboration with Iceland Catastrophe Insurance (ICI), has developed a catastrophe model to estimate the financial impact of earthquakes in Iceland. Earthquakes have accounted for 83 percent of catastrophe losses in the country over the last 20 years, and Iceland is considered the most earthquake prone region in Northwest Europe. Recent major loss history, estimated at present day values, includes magnitude-6.5 earthquakes in 2000 causing IKr7.8 billion ($68.3million) of insured loss and a magnitude-6.3 earthquake in 2008 resulting in with IKr13.8 billion of insured damage. The goal of the earthquake model is incorporate the latest local scientific knowledge, understand the uncertainty in its loss estimates and create a customised model that reflects the uniqueness of its portfolio and loss history. Notably the damage curves in the model, which show the correlation between hazard intensity and loss, are based on detailed high quality loss observation data from the past two major events in Iceland. Furthermore, seismic source zones for the model zones have been developed in collaboration with Professor Pall Einarsson from the University of Iceland. 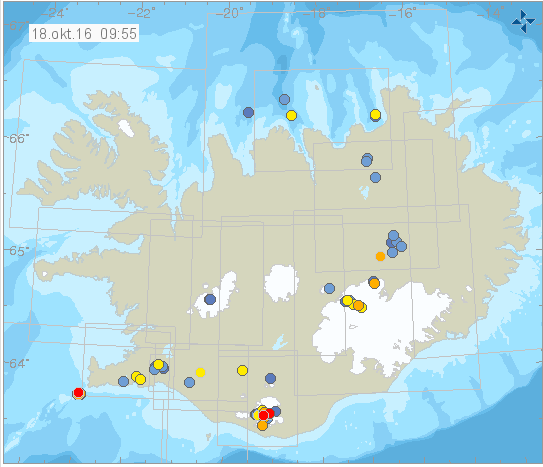 They are based on the local geology and tectonics including a catalogue from the Icelandic Meteorological Office of recorded earthquakes back to 1926 and historical earthquakes back to 1700. Hulda Ragnheiður Árnadóttir, CEO of Iceland Catastrophe Insurance, said: “The ICI has increasingly emphasised the importance of assessing insurance risk based on recent local scientific advancements. Goran Trendafiloski, head of earthquake development at Impact Forecasting, added: “It was critical to develop a modelling solution that was based on the loss history and seismicity of the country. “Going one step further beyond the probabilistic modelling, we also developed a deterministic model to understand specific events such as the major recent earthquakes. Impact Forecasting, Aon Benfield, Iceland Catastrophe Insurance, Catastrophe, Earthquake, Europe.